I’m determined to instill the love of gardening and all things green into my readers – even if it’s just a small leaflet of desire. 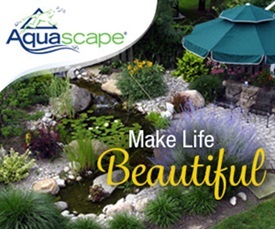 Of course, many of you are avid gardeners both indoors and out! To celebrate the love of flower gardening, I’m giving away a copy of the book, Martha’s Flowers – a practical guide to growing, gathering, and enjoying! What immediately caught my eye in this book is the gorgeous photography of beautiful flowers of all types! What kept my attention is the subject matter. The book explains how to plant flowers, how to grow them, and how to cut and care for them indoors! Most books focus on either growing garden flowers, or arranging flowers. This book covers both aspects and includes the seasons of spring, summer, and fall. 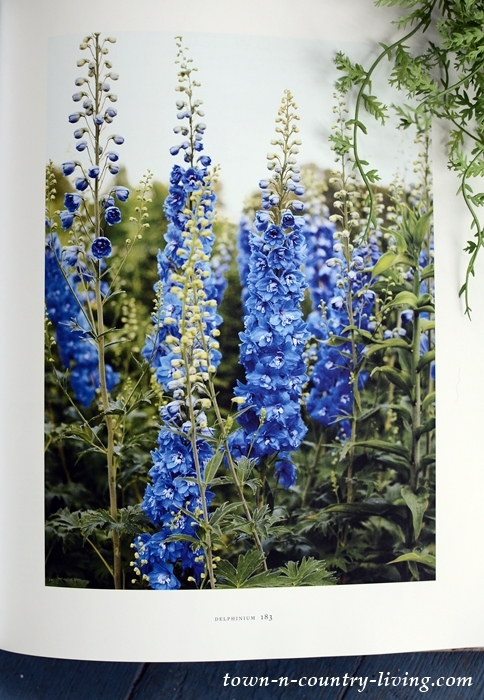 Wouldn’t you love to grow healthy yet dainty delphiniums so you can enjoy them both in and outside of your home? Martha Stewart and Kevin Sharkey share their favorite floral arrangement tips, along with information on choosing the right vase for a variety of flowers. Every page is filled with amazing photography and is sure to inspire you to either grow more flowers in your garden, or at least try your hand at arranging them. I have a gorgeous Jackmanii clematis in my garden and never thought to use it in a floral arrangement – but look how pretty it is! I adore this fall arrangement and now I know what to do with the fading leaves of my hostas later this year! To enter for a chance to win a copy of Martha’s Flowers, simply leave a comment below! I’ll announce the winner next Tuesday. If you can’t wait that long, you can also order a copy of Martha’s Flowers (affiliate link) on Amazon. Hi there – I love Martha Stewart! thanks for running this giveaway. 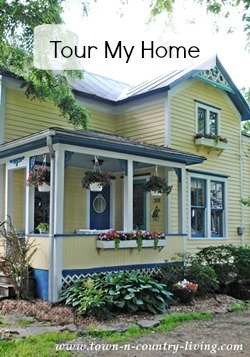 I’ve really been enjoying your blog as I decorate my new house! 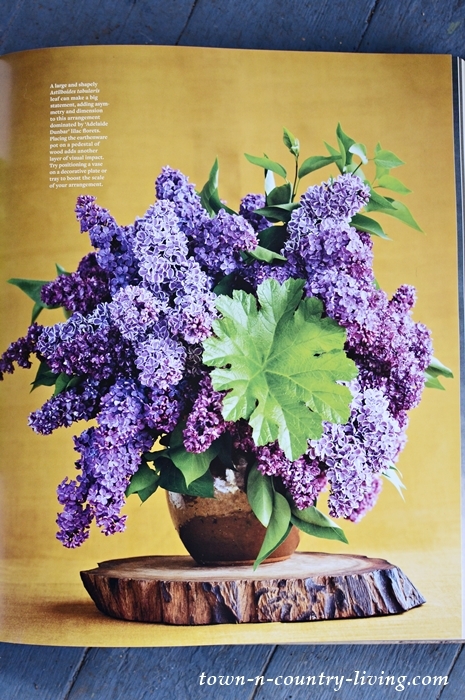 What a beautiful book and pictures.And my favourite flowers are in the book- hydrangea. What a wonderful book. No matter what kind of flower it is, I love bringing in fresh cut flowers. Thanks for the giveaway – love this book! I love gardening and bringing fresh blooms in to my home! Hello to a beautiful day! I can’t wait to start gardening. This book looks like fun. 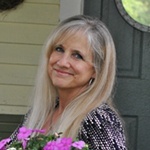 Hi Jennifer, Thank you for all you share! I love flowers and I need inspiration on how to create a lovely flower garden. This book is so inspiring!!! Love Martha and would love to have her book on flowers. Beautiful! This is a very pretty book on some very pretty flowers ! 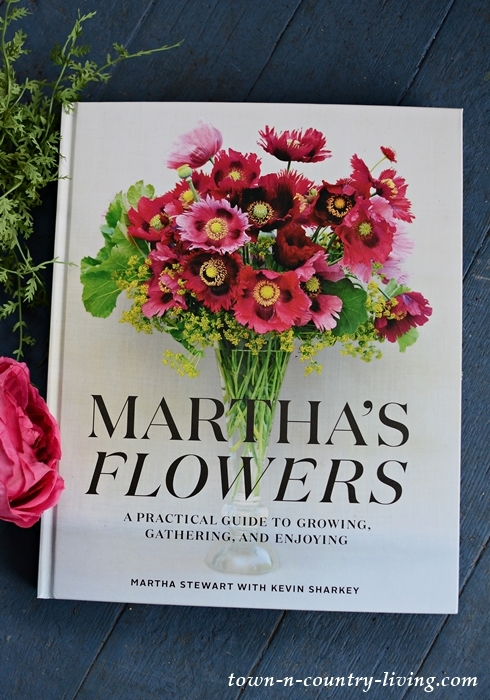 Love Martha, and would love to own her book on flowers. Beautiful! What a beautiful book. Everything Martha does is spot on. Wow! What a gorgeous book! The flowers look almost 3-D. Thanks for the opportunity to enter the giveaway! Oh, how inspirational this book is! I would love to win it. We live on 20 acres in Queensland, Australia – like you, we are where the suburbs end and the country begins. It is rather hot and humid during the summer months but the rest of the year is mild, sunny, perfect for gardening. We don’t have many flowering gardens (mainly palm trees and shrubs) because we are so dry here, and also we let our horses sometimes graze around the house paddock if there is grass to eat and they would eat the plants! A couple of years ago though I started a pot plant collection in our courtyard which I thoroughly enjoy pottering about in, growing annuals and colourful plants. It’s so relaxing and always pretty to look at, especially in a place that is mainly dry and brown. Oh, I think that I would LOVE this book; I enjoy pretty much all things Martha Stewart. Get her magazine through the mail, and I used to LOVE her Christmas specials when they were on TV. LOVE flowers, too; though I live in a townhome with only a postage stamp size yard–both front and back, I have as many of them, as I can squeeze into it. Roses, hydrangeas, day lilies, iris, azaleas, fern leafed geraniums, and whatever I decide to put into pots and planters each Summer as well. Hi Jennifer, I love getting my hands dirty in the garden. When the flowers finally bloom I feel so happy . This is a beautiful and thoughtful giveaway. Thank you for the chance of winning this book. Nothing like fresh ideas to get you thinking. 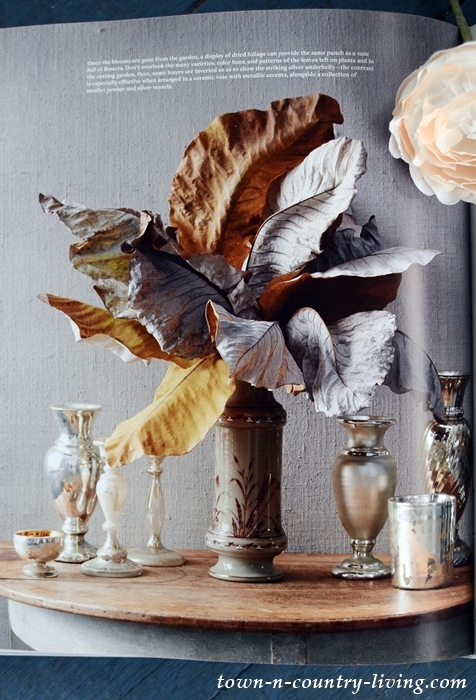 I never would have taken old hosta leaves to use in my house as a fall arrangement. 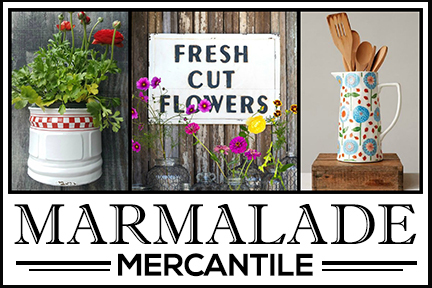 This must be a great reference to anyone who loves flowers and the many ways to use them. What a beautiful book! Thanks for sharing!!! I would appreciate and study this beautiful book. I am a beginner, desiring to start a fresh cut flower garden. Those pictures in the book are gorgeous. Thank you for sharing. I love gardening. Fresh flowers always brighten my day. 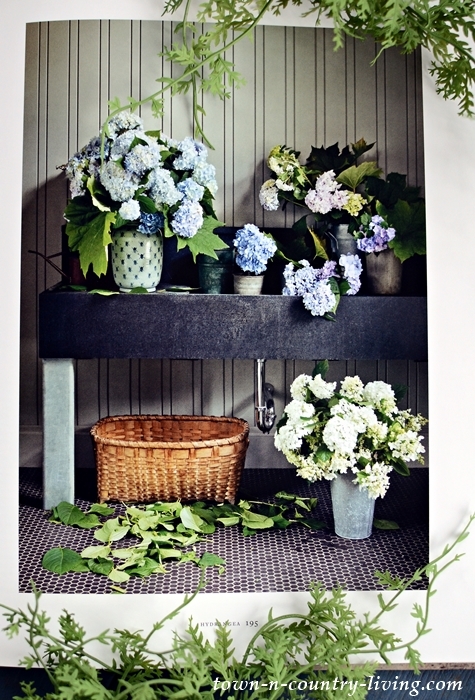 I try to have a small bunch in the ensuite, a bright start to my day and a bigger arrangement on the kitchen counter. Flowers inside and out just make my heart sing. This book is gorgeous. Thank you for the opportunity to win this Martha Stewart book. Thank you for your inspirational blog. I have your garden and pond pictures saved so I can go back and look at them for ideas, can’t wait to see more this year. Just waiting on spring. I love flowers and this spring I want to add some new plants to my garden and containers. I’d love to get a copy of this book. Thanks for the chance to win one. This book looks and sounds amazing. I have always dreamed of having a huge cutting garden to share with others. This book is gorgeous and informative. Thank you for the opportunity to win this Martha Stewart book. Jennifer, thanks for sharing this treasure! 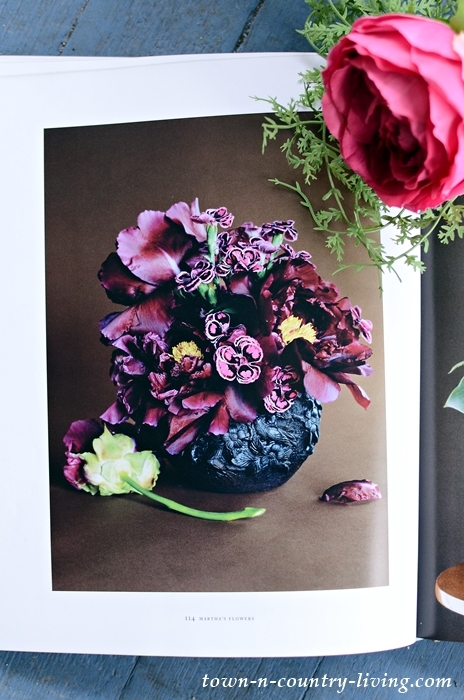 All flower lovers search for inspirational ideas, and this book certainly fits the bill. These are stunning photos. I was swooning over the lilacs. Planted four last spring. Now the early spring is here we have to add Hollytone to the soil. Can’t wait for them to grow and give me beautiful flowers. What a lovely looking picture book! But then, flowers always make a beautiful photograph. Thanks for opportunity! Every picture you show of this book is stunning! My grandma left me the most wonderful legacy of gardening. In the garden, I worked hand and hand with her and learned names, care, and love of most Garden flowers. She raised 16 children and then still had time for me! Her hands were dirty most of the time but when her flowers blossomed forth, it was such a beautiful array of color and texture that I knew that I wanted to do the same —giving ‘eye candy’ to everyone who passed by. I would love this book, Jennifer, and my coffee table with this book on it would remind me of Gram and her special gift. Thank you for this great give away. Wow! I never thought to use my Jackmanii clematis inside either! What gorgeous photos!!! Makes me really anxious to get out there and start my spring cleanup! We are supposed to hit 60 degrees by Saturday, so hopefully most of the snow will be melted and I can get started – woo hoo! Wow. We can always count on Martha (and you, of course) to get out attention with how-to books. This one would be a great addition to my small but well-read library of decorating and gardening books. Thank you so much for this offer. I love Martha Stewart, and I’m a book nerd~LOL I am energized in the spring and cannot wait to get into the dirt and start planting. My tulips, daffodils and crocus are all coming up! Thanks for doing this. It looks like a beautiful book, but then we would expect no less from Martha! Thanks for sharing and also for the generous give away…(Hope I win) Love your blog and enjoy it sharing it with others. I love Martha and I love flowers! I appreciate you spreading the good word! I’m trying to expand my front flower gardens these days so my whole neighborhood can benefit. Thank you for this chance. I love flowers just like my mom and grandmothers did and i try to plant something different every year. Winning this would be lovely! What perfect timing, with Spring here. Thank you for having this give-away. What an inspiring book. Though I am limited in space to grow flowers, I am very interested in arrangement composition. How I’d love to own this book. Thanks for bringing this to our attention. Such a beautiful book and it would make a lovely gift for my mom who loves flowers as much as I do. Thank you for the opportunity. I love having these types of books they inspire me to plant great flower gardens. I can see why you were taken by this beautiful book. The pictures you showed are amazing. I think I like the brown leaves the best, so unique. This book looks amazing! The pictures look gorgeous! Would love to own a copy! This time of year pictures like theses are all that keep me going! I don’t know if the giveaway is for the your followers outside the USA. Anyway it will be nice to win this gorgeous book . Wow what a beautiful book. I love clemetis and never thought to work it in a flower arrangement that looked so pretty. I take flower arranging classes at my local community center so being able to add another flower to my list is a bonus. Thank you for the opportunity to win this lovely book. This book makes me smile! I have Martha’s book on my Amazon “Wish List”. I’d love to win it instead. I really enjoy getting your emails every day. I have filled my Pinterest boards from your site. Always beautiful. Thank you! What a lovely book! Very motivating on this beautiful spring day. Thanks much for the chance to enter. I could certainly use Martha’s book to get me started on a new venture of preparing arrangements for my church. I’ve joined a small group of ladies bringing in home grown flowers from our gardens and most of the time the arrangement look very ragged and unkempt. This book would surely help us. The book looks gorgeous! Looking at flowers just makes me happy. Like for instance those pictures of the hydrangeas, delphiniums and peonies. Instant smile! Thanks for putting me in my happy place! Looks like a wonderful and informative book. Thank you for the chance to win. If it ever gets warm perhaps I can get out in the garden. Have a blessed day! WOW!!! That book is a beauty. I love gardening and am also a painter so i would love to win this book. Great coffee table book…does it have legs???? Oh Yes! The photographs are marvelous! The floral arrangement s are so beautiful. This really makes me want to go out in my garden and cut some flowers…in a few months! Oh MY! That book looks absolutely inspirational! I have plenty of books, but this one looks as if it could replace many of them. And, on a side note about the Tulips, I applaud your Effort! 100 Tulips is an accomplishment ! I hate picking mine, so I too, have begun planting more. I need to hire a team of tulip planters. I’m not kidding. Martha never disappoints – always clever and creative with everything she does. As she is known to say “It’s a good thing” and it would be a very good thing if I were to own a copy of this lovely book! 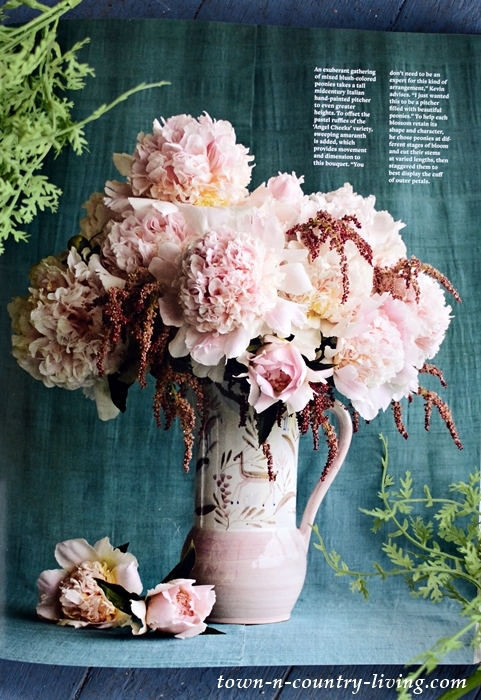 Thank you for the inspirations from Town & Country Living. I look forward to your blogs. Beautiful book. Thanks for the chance to win. Thank you for this great give away! This book looks like just what I need! After hurricane Michael demolished our home, we looking forward to rebuilding and landscaping ! What used to be a lot covered with huge oaks, is now now home to one lonely oak and 2 maples! But hey, that leaves lots of room for beautiful flower beds! I met Martha at my work place many years ago. She is a friendly person, quite tall, and lovely too! She brought eggs from her chickens (still covered with chicken manure) and home made apple sauce. I’ll always remember that day. Everyone, including me, was excited about her presence. Guess you could say I was star struck! 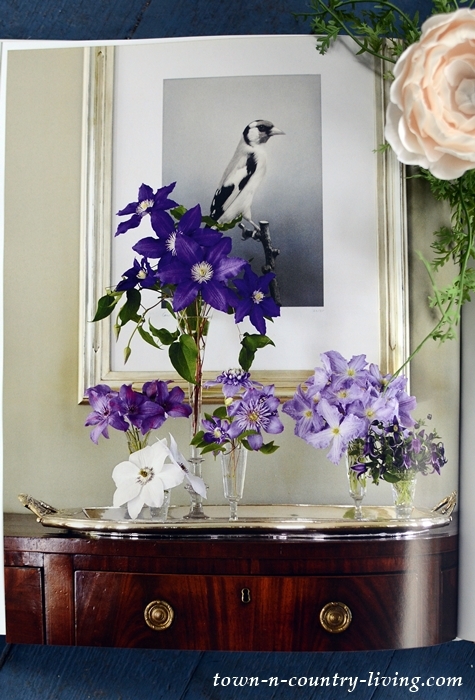 Love seeing the pictures of all the lovely flowers and how to arrange them beautifully. Thanks! Thank you for the chance to add this beautiful Martha book to my collection. What a beautiful book!! I just stared at the Delphinium & know I must try these in my garden this year! I would love to win one of Martha’s books!! I would love to win this book. Those hosta leaves are amazing and I’ll have to try that next fall. Such a beautiful book, It would make a wonderful gift fir my Mom. She loves gardens and flowers as much as me. Thank you for the opportunity. This book looks like a must read to me. I am trying to learn how to make my flower gardens beautiful. I look forward to learning and will definitely put this on my must read list. Thank you for choosing such an inspiring book to share. Trial and error always leads to ERROR for me. I could learn something from this book . I would love to be able to grow something more than ivy. Hi , I’ve been following you for a while but this w my first time commenting, I like yblog. I’m a former florist and I have a passion for flowers! I would love to have the chance to win this amazing book! Thank you for the opportunity. Beautiful book and pictures — this book is a treasure. Can’t wait for spring flowers! What a gorgeous book. I would take playing in the dirt in my garden anyday!